War Copilot von Germanwings-Flug 4U9525 Andreas Lubitz ein Terrorist? Des deutschen Mobs und seiner willfährigen Presse liebste Diagnosen sind Depression, Angst, Burn-Out und Traumatisierung, denn dafür gibt es am Einfachsten eine Krankschreibung, Kur, Rente oder andere arbeitsfreie Geldvorteile. · Ich kenne keine Parteien mehr, ich kenne nur noch Angstneurotiker. · Wen die Arbeit krank macht, der soll kündigen! Deswegen hier ganz langsam zum Mitschreiben: Das charakteristische einer Depression, ist die Aggressionshemmung! Die Aggressionshemmung, stupid! Depressive können gar nicht gewalttätig werden! Depressive sind Menschen, die liebevoll, sehr anhänglich und beziehungsfähig sind. Depressive kümmern sich um andere Menschen, oft selbstlos. Wenn sich Depressive umbringen, dann im Stillen, um niemand zu stören, hängen sich im Wald auf oder schwimmen auf offenes Meer hinaus, oder so. Amokläufer sind Borderline-Fälle mit extrem hohem Narzißmus. Es müssen ja einem andere Menschen scheißegal sein, wenn jemand eine Selbstmordart wählt, mit sich auch andere in den Tod zu ziehen, wie die Geisterfahrer auf der Autobahn, sich im Haus in die Luft zu sprengen, Leuten vom Hochhaus auf den Nacken zu fallen, oder als Co-Pilot eine vollbesetzte Maschine zum Absturz zu bringen. Freude am Leben hat nur ein Mensch, der ein Einfühlungsvermögen besitzt, der zu möglichst Vielem eine liebevolle Beziehung hat, denn nur dann freut man sich, wenn man etwas oder jemand liebt, was nicht mit Gier und Geilheit zu verwechseln ist. Aber ein Narzißt liebt nur seinen angeblichen Erfolg, ein Narzißt ist eine Diva, die gar nichts liebt, nicht Mal sich selbst. Also hat ein Narzißt keine Lebensfreude, denn man kann nicht permanent Erfolg haben. Und daher weiß ein Narzißt nicht, wozu er lebt, nichts macht ihm Freude, höchstens hat er Spaß, wenn er etwas geil findet. Leider will er auch im Selbsttod der Größte sein, sein Untergang soll spektakulär und total geil sein. Ein extremer Narzißt ist ein potentieller Terrorist. Falls Andreas Lubitz tatsächlich willentlich das Flugzeug zum Absturz brachte, war er ein Terrorist. Jeder Terrorist ist ein extremer Narzisst. Aha, sagen Sie, dann könnte man die Narzißten als Vehikeltreiber herausfischen und so die Gefahr eines solchen Selbstmordanschlags vermindern. Zu früh gefreut, lieber Leser! Denn Flugkapitäne sind mehr oder weniger Divas, also ziemlich narzißtisch! Da ist der Unterschied zum extremen Narzißmus nicht mehr groß! Aber die Bundespsychotherapeutenkammer wird bestimmt umgehend Kurse, Seminare, Experten und narzißtisch zertifizierte Psychologinnen anbieten und vom Staat dafür entsprechende Gelder anfordern, denn nichts ist zu teuer, um die Welt zu retten, das weiß die Betreuungsindustrie am besten. Hätte Lubitz bloß eine Nachricht hinterlassen, daß er durch seinen Selbstmordanschlag gegen die Siedlungspolitik von Netanjahu, gegen Putin oder die Benachteiligung von Frauen ein Zeichen des Protests setzen wollte, dann wären alle beruhigt, denn so ein guter Zweck, wie man weiß, heiligt alle Mittel. For reasons not fully known, co-pilot of the Lufthansa budget carrier’s Airbus 320, Andreas Lubitz, is believed to have intentionally crashed the aircraft while enroute from Barcelona to Düsseldorf on Tuesday, March 24. What began as an inexplicable international tragedy has now transformed into a mass murder-suicide investigation. The seemingly deliberate act, with the amount of time available for him to reconsider such a decision or allow the pilot back into the cockpit, has called into question Lubitz’s mental state. Currently, authorities have evidence that the 27-year-old Lubitz had been treated for depression and had developed vision problems that, if known to medical evaluators, might have disqualified him for working as a commercial pilot. The New York Times reported yesterday that German authorities recovered “antidepressants” from Lubitz’s apartment on Thursday. This fact has renewed concerns that some drugs used to treat depression may increase suicidal ideations, aggression, and violence in some patients. Several SSRIs carry black box warnings about the potential for increased suicide risk when starting the drugs, particularly in adolescents and young adults. During any one year, 6.9 percent of Americans will experience depression, a multi-faceted disorder characterized by some combination of prolonged or recurrent episodes of intense sadness and emptiness, lack of self-worth, and inability to enjoy previously rewarding activities, among others. That’s about 22 million people among the current U.S. population. While depression occurs more frequently in women, the disease strikes across socioeconomic boundaries, due likely to a combination of genetic and environmental causes. The aviation industry is not immune to pilots experiencing depression. But each country’s central aviation authority has been operating under policies and procedures for all manner of medical issues to ensure that aircraft, especially commercial aircraft, are operated by the most competent and uncompromised professionals. Before the SSRIs, airline pilots were disqualified from operating aircraft if being treated for depression. The first drugs to treat depression, the tricyclic antidepressants, had strongly sedating side effects and could also cause problems with balance, concentration, and blood pressure. The liability of pilots taking tricyclics, such as imipramine or amitriptyline, was these side effects that could interfere with operating an airplane. Pilots are evaluated by independent aviation medical examiners (AMEs), often pairs of psychiatrists and psychologists around the country who have passed FAA medical practice certification. This medical system dates back to 1974 when the FAA began addressing the issue of pilots impaired by alcohol and their recovery. Together with the NIH National Institute on Alcohol Abuse and Alcoholism instituted the Human Intervention Motivation Study (HIMS) to establish a system to rehabilitate pilots with alcoholism. By 2004, the system could boast a 85 to 90 percent two-year sobriety rate among pilots in recovery; estimates for Alcoholic Anonymous among the general population is five to 10 percent. The FAA decision path for pilots on an acceptable SSRI is detailed in the figure above. The pilots must have a clear diagnosis of major depression or related mood disorders from a HIMS-certified AME and agree to take one of the four listed drugs. But – and it’s a big “but” – the diagnosis must be uncomplicated in that a pilot would be ineligible if they also had psychosis, suicidal ideations, previous electroconvulsive therapy, or treatment with multiple SSRIs and psychotropic drugs. While not explicitly delineated, most cases of bipolar disorder would also preclude a pilot from seeking the “special issuance” of a medical certificate. One could still worry that a pilot with homicidal or suicidal tendencies could evade this screening process to maintain their commercial certification, but the process in place in the U.S. appears to be more stringent than that of Australia or European countries. Assuming that Lubitz was taking an SSRI drug, we still have no way to conclude that the drug contributed to what appears to be his intentional act of mass murder and suicide. For one, we don’t yet know if what investigators are calling “depression” was complicated by any symptoms of psychosis that might have compromised or confused Lubitz’s reasoning and perspective on reality. Unless DNA testing could identify human tissue belonging to Lubitz at the crash site, we don’t even know if he was taking the drug or drugs at the time of the crash. Readers should remember that I’m a PhD pharmacologist, not a board-certified psychiatrist, although I taught pharmacy students for a decade about antidepressant drugs and other agents that act on the central nervous system. As a scientist who is looking afar at much of the same evidence as you, the reader, I can’t help but be compelled by the long amount of time that Lubitz apparently had to reverse his decision to direct the plane downward and repeatedly refuse the pilot readmission to the cockpit. His actions appear to have been measured, calculated. There are no objective, real-time clinical measures for depression, suicidal ideation, or homicidal tendencies – nothing like a LDL-cholesterol number or blood pressure reading. I would love to answer, “Why?” If Lubitz was suicidal, why did he not take some other action to end his own life without taking 149 innocent people with him. Dr. Kroll, not ‘conspiracy theoriests” but rather bipolar psychiatry experts (e.g. S Nassir Ghaemi, MD, Mood Disorders, particularly well summed up in Chap 4) tell us that 20 to 50% of the time when Bipolar II depression is the true diagnosis rather than major depression, antidepressants ‘switch’ energy depleted depressed moods into potentially dangerous agitated mixed or rapidly cycling moods. This co-pilot apparently has evidenced grandiosity in the past and very possibly if not likely antidepressants were contraindicated for him. Please help educate the public – Rather than ‘villify’ antidepressants which often help save lives among unipolar depressed patients, prescribers and consumers need to learn to better detect subtle bipolar II history and/or screen better for bipolar genetic risk, family history, history of responding abnormally to antidepressants in the past, and so forth. We also don’t know if, in an attempt to continue flying, he abruptly stopped his drugs in the days before the flight. Depending on what meds are involved, such as those in the benzodiazopine family, abrupt discontinuing of meds can have some very horrific side effects pretty quickly and sometimes only intermittently. SSRI Drugs Linked to Germanwings Kamikaze Crash? Germanwings co-pilot Andreas Lubitz, who deliberately crashed a plane with 150 people onboard, had undergone psychiatric treatment, a fact that should prompt questions about whether the 28-year-old had been taking SSRI drugs which have been linked to numerous cases of mass murder and suicides. During a search of Lubitz’ apartment, German police also announced that they had discovered a “significant clue” that might help to determine why Lubitz deliberately crashed the Airbus A320. Authorities said that the item was not a suicide note. In addition, it has subsequently emerged that Lubitz had made an effort to conceal and unspecified medical condition from his employers. “Documents with medical contents were confiscated that point towards an existing illness and corresponding treatment by doctors,” said the prosecutors’ office in Dusseldorf, where the pilot lived and where the flight from Barcelona was heading, reports Reuters. “The fact there are sick notes saying he was unable to work, among other things, that were found torn up, which were recent and even from the day of the crime, support the assumption based on the preliminary examination that the deceased hid his illness from his employer and his professional colleagues,” they said. Ascertaining whether Lubitz was on or had come off anti-depression drugs should be a crucial part of the investigation given the clear connection between SSRI pharmaceuticals and incidents of suicide and mass murder. As CCHR documents, psychiatric drugs have been involved in at least 31 different school shootings and other massacres over the last 25 years. The connection between Zoloft and violent outbursts is well documented. Countless studies identify Zoloft as being responsible for more than 1,000 suicides and hundreds of episodes of mania and aggression. There was also an apparent attempt to shield information concerning whether or not Sandy Hook gunman Adam Lanza was taking psychiatric drugs. In September 2013, we reported on the State of Connecticut refusing to release Lanza’s medical records over fears that divulging the identity of the antidepressants he was taking would, “cause a lot of people to stop taking their medications,” according to Assistant Attorney General Patrick B. Kwanashie. Fort Hood gunman Ivan Lopez, who shot dead three colleagues and injured 16 others before turning the gun on himself in April last year, was also taking psychiatric medication before the shooting. Staff Sgt. Robert Bales was also taking anti-depressant drugs when he massacred 16 Afghan civilians in 2012. In the aftermath of revelations that Germanwings co-pilot Andreas Lubitz deliberately crashed the airliner, there has also been complete silence amongst the establishment press as to whether psychiatric drugs played a role, despite Lubitz’ known history of depression. Piloten, die mit ihrem Flugzeug absichtlich in den Tod stürzen, gibt es mehr, als man denkt. Dass sie dabei wahllos Menschen töten, ist zwar selten, es kommt aber immer wieder vor. Einiges weist darauf hin, dass Germanwings-Co-Pilot Lubitz den Crash von langer Hand geplant hat. Skepsis war angezeigt, als der Marseiller Staatsanwalt Brice Robin bloss zwei Tage nach dem Absturz des Flugs 9525 von Germanwings das Unfassbare verkündete: Co-Pilot Andreas ­Lubitz habe den vollbesetzen Airbus A320 vorsätzlich in die Felswand gesteuert. Untersuchungen von Flugkatastrophen sind extrem komplex und dauern jeweils Jahre. ­Warum, so fragte man sich, schliesst Robin technisches Versagen so schnell aus? Kam er ­damit der Flugzeugindustrie und den Airlines entgegen, denen es vor einem Grounding des weitverbreiteten Airbus A320 graute? Allen Verschwörungstheorien zum Trotz: Selten lag die Ursache einer Flugzeugkatastrophe so klar auf der Hand. Dass der Flug 9525 kontrolliert, also auf geradem Kurs, mit konstanter Geschwindigkeit und Sinkrate in den Berg raste, kann selbst ein Laie aus der Radaraufzeichnung herauslesen. Die vom sogenannten ADS-Transponder an die Flugkontrolle übermittelten ­Daten beweisen, dass der Autopilot an jenem fatalen Morgen um 10:30:54 Uhr vom ­Piloten auf den Todeskurs geschickt wurde. Ein Abgleich mit den Tonaufzeichnungen aus dem Cockpit zeigt: Kaum hatte der Captain seinen Platz verlassen und dem Co-Piloten Lubitz die Kontrolle übergeben, leitete dieser den Sinkflug ein. Hätte es sich um einen Notabstieg gehandelt, hätte er dies der Flugkontrolle ­sofort melden oder zumindest den Kurs ändern müssen. Aufgrund der aufgezeichneten regelmässigen Atemgeräusche erscheint es unwahrscheinlich, dass Lubitz aus einem unerfindlichen Grund das Bewusstsein verloren hat. Überhaupt: Wäre Lubitz ohnmächtig ge­wesen, hätte er den Captain schwerlich mit der Notverriegelung aus dem Cockpit ausschlies­sen können. Wäre es im Cockpit zu einem Druckabfall gekommen, hätte das sogenannte blowout panel die Tür automatisch freigegeben. Das verzweifelte Poltern des Captains an die ­Kabinentür, die Schreie der Passagiere, die Aufrufe des Towers, die Warnsignale der Kon­trollsysteme – Lubitz ignorierte einfach alles. Man kann es drehen und wenden, wie man will: Ein alternatives Szenario ist nicht in Sicht. Damit rückt eine andere Black Box in den Mittelpunkt des Interesses, deren Inhalt kein Ingenieur rekonstruieren kann: Was ist im Kopf des Co-Piloten Lubitz vorgegangen, als er 149 Menschen, die ihm nichts zuleide getan hatten, vorsätzlich mit sich in den Tod riss? Lässt sich ein solcher Massenmord wirklich erklären durch Gebrechen – die Rede ist von Depressionen, Burnout, Überforderung, ja, von einem ominösen Augenleiden. Die Ermittler informieren in diesem Fall relativ offen über den Stand der Untersuchung. Abgesehen davon, dass sich ein derartiges Verbrechen bei Hunderten von Ermittlern nicht unter dem Deckel halten lässt – alles andere ­wäre eine Zumutung gegenüber den Hinterbliebenen, aber auch gegenüber der Öffentlichkeit. Ein Strafprozess, der Klärung bringen könnte, ist nicht zu erwarten: Der mutmassliche Täter ist tot, und Strafverfahren gegen Tote sind in unserem Recht nicht vorgesehen. Eine Klärung ist aber zwingend und dringend, zumal sich die Frage stellt, ob und wie sich eine derartige ­Katastrophe allenfalls verhindern lässt. Piloten, die, von Todessehnsucht getrieben, ihr Flugzeug zum Absturz bringen, gibt es mehr, als man denkt. Gemäss einer Unter­suchung der amerikanischen Federal Aviation Administration (FAA) haben sich allein in den USA in den letzten drei Jahrzehnten 36 Selbstmörder auf diese Weise aus dem Leben verabschiedet. Das ergibt rund einen Fall pro Jahr, Tendenz leicht sinkend. Allerdings werden nur eindeutige Fälle von der Statistik erfasst. Viele der über 200 Flugunfälle, die sich in den USA jährlich ereignen, können nie geklärt werden. Und die Suizide lassen sich gemäss FAA auch kaum verhindern. Fliegen ist statistisch gesehen trotzdem viel sicherer als ­Autofahren. Laut dem jüngsten FAA-Bericht* waren bei mehr als der Hälfte der Suizide Alkohol oder Psychopharmaka mit im Spiel. Die meisten Crashpiloten litten an Beziehungsproblemen oder sonstigen psychischen Störungen. Gemäss den laufenden Ermittlungen dürfte Letzteres auch auf Lubitz zutreffen. Damit hat es sich aber auch schon mit den Parallelen: ­Ausser bei einem Kamikazepiloten, der mit seiner Cessna ins Haus seiner Schwiegermutter stürzte, richteten die von der FAA erfassten Selbstmörder ihre Aggression nur gegen sich selber. In den seltenen Fällen, in denen Dritte zu Schaden kamen, hatten diese einen persönlichen Bezug zum Täter. Wenn der passionierte Segelflieger Lubitz nur sich selber hätte töten wollen, hätte er dazu genug Gelegenheiten ­gehabt. Er gehört in eine andere Kategorie. In der Geschichte der Aviatik finden sich, wenngleich viel seltener, auch dazu Analo­gien. Ein vieldiskutiertes Beispiel war der Flug 990 von Egypt Air, der 1999 vor der amerikanischen Küste in den Atlantik stürzte (217 Tote). Auch hier wiesen Aufzeichnungen des Voice-Recorder darauf hin, dass der Co-Pilot den Captain aus dem Cockpit aussperrte, bevor er die Maschine zum Absturz brachte. Als Aus­löser werden Anschuldigungen wegen angeblicher sexueller Vergehen gegen den Co-Piloten vermutet. Die ägyptischen Behörden akzeptierten den Befund der US-Ermittler allerdings nie, vor allem in der arabischen Welt zirkulieren wilde Verschwörungstheorien. Ebenso beim Absturz des Flugs 630 von Royal Air Maroc (1994) und demjenigen des Flugs 185 von Silkair (1997) förderten die Ermittler deutliche Hinweise auf vorsätzliche grobe Pilotenfehler zutage. Der provozierte Absturz des Flugs 470 von Mozambique Airlines im Jahr 2013 weist wiederum eine frappante Ähnlichkeit mit den Fällen Egypt Air und Germanwings auf: Auch hier sperrte der Co-Pilot den Captain aus dem Cockpit aus, bevor er den Crash einleitete. Und beim ominösen Flug 370 der Malaysia Airlines, der vor einem Jahr mit 239 Insassen spurlos im Indischen Ozean verschwand, lastet zumindest ein schwerer ­Verdacht auf den Piloten. Gemeinsam ist all diesen Fällen, dass die Motive der Sturzpiloten im Dunkeln liegen. Es gibt weder Bekennerschreiben noch Abschieds­briefe, höchstens Schulden, Streit mit Vorgesetzten oder Partnern. Andreas Lubitz litt ­offenbar seit vielen Jahren an psychischen ­Problemen, die er verharmloste. Offenbar ­hatte er Angst davor, seine Fliegerlizenz zu verlieren. Doch damit lässt sich kein Massenmord erklären. Sofort wurden Forderungen nach strengeren Eignungstests und einer Lockerung des Arzt­geheimnisses laut. Bei vielen Airlines darf ein Pilot neuerdings nicht mehr unbegleitet im Cockpit sitzen. Die Massnahmen sind zweischneidig. Mehr Kontrolle bedeutet nicht ­automatisch mehr Sicherheit, wie gerade der aktuelle Fall zeigt: Der nach 9/11 eingeführte Sicherheitsmechanismus an der Tür machte es dem Co-Piloten Lubitz erst möglich, sich im Cockpit einzubunkern. Airlines sind keine Irrenhäuser, ein Generalverdacht gegen die Piloten kann schnell das Arbeitsklima vergiften und mehr schaden als nützen. Es erscheint zudem fraglich, ob sich ein gefährdeter Pilot dem Arzt noch anvertraut, wenn er weiss, dass die Informationen direkt und ungefiltert an seinen Arbeitgeber weitergeleitet werden. Es darf auch bezweifelt werden, ob eine Hostess einen zu allem entschlossenen Crashpiloten wirklich von seinem mörderischen Plan abhalten kann. Wenn Piloten nicht mehr zur Toilette gehen, obwohl sie dringend müssten, führt das womöglich eher zu weniger als zu mehr Sicherheit. Das Bedürfnis nach Klärung ist gross. Doch je schlimmer ein Verbrechen, so scheint es, desto grösser die Bereitschaft, den Täter zu entlasten. Schon wird über alle möglichen Krankheiten und über die angeblich unmenschlich harten Arbeitsbedingungen von Piloten diskutiert. Konnte der von tiefer Not gepeinigte 27-Jährige einfach nicht anders, als ein Massaker anzurichten? Die Vorstellung ist so absurd wie sie klingt. Hält man sich den äusserlichen Ablauf und das Resultat vor Augen, gemahnt Lubitz eher an einen Täter vom Schlage eines Friedrich Leibacher, der eines Morgens ohne ­jede Vorwarnung das Parlament von Zug stürmte, um mit einem Sturmgewehr wahllos Menschen zu erschiessen. Leibacher inszenierte sich als Opfer von angeblicher Behördenwillkür. Wie Recherchen zeigten («Abgrundtief ­böse», Weltwoche Nr. 3/03), trug Leibacher die Mordfantasien in Wirklichkeit längst mit sich herum, bevor er den grotesken Streit mit den Zuger Behörden mutwillig vom Zaun brach. Leib­acher hatte das Massaker sogar lange zuvor angekündigt; nur verstanden die Adres­saten den Sinn seiner mehrdeutigen Prophezeiungen erst, nachdem er das zuvor Unvorstellbare vollbracht hatte. Gewiss, für eine abschliessende Analyse ist es noch zu früh. Doch bei allem Mitgefühl für die Angehörigen von Lubitz: Man muss die ­Variante des Psychopathen, der eine über Jahre klammheimlich in seiner kümmerlichen Seele herangediehene mörderische Fantasie in die Tat umsetzt, in Betracht ziehen. Viele Indizien weisen in diese Richtung. Dazu gehört auch das Geschick, mit dem Lubitz seine angeblich psychosomatischen Probleme versteckte. Diese Leiden müssen nicht unbedingt die Ursache von zwanghaften Mordfantasien sein – sie können auch eine Folge davon sein. Die Kaltblütigkeit, mit der er die Maschine in den Berg hineinsteuerte, und sein ruhiger Atem zeugen von einer gewaltigen kriminellen Energie. Dass Freunde und Bekannte Lubitz als freundlichen und umgänglichen Menschen beschreiben, widerspricht dem Profil eines Psycho­pathen keineswegs. Solche sind vielmehr Meister der Anpassung und der Täuschung. ­Sofern man der Bild-Zeitung glauben darf, soll Lubitz gegenüber einer Ex-Partnerin angekündigt haben, dass er «eines Tages etwas tun werde», was «das ganze System verändern wird, und alle werden dann meinen Namen kennen und in Erinnerung behalten». Nach ihren Worten hatte er ein doppeltes Gesicht: Auf der einen Seite sei er «sehr weich» gewesen, habe aber auch plötzlich ausrasten können. Das Gemeine an der Sache ist, dass gefährliche Psychopathen ihre zwanghaften und mörderischen Fantasien nicht nur vor anderen verstecken, sie verdrängen diese bisweilen auch aus der eigenen Wahrnehmung. Deshalb offenbaren sie kaum je ihre abgründigen Motive. Kommt dazu, dass die Merk­male, die sie auszeichnen, auch bei ganz harmlosen und normalen Menschen zu finden sind. Es ist deshalb ungemein schwierig, solche Massenmörder frühzeitig zu erkennen. Immerhin sind sie selten. Die Erkenntnis aus dem Flug 9525 könnte demnach auch sein: Wir müssen damit leben, dass sich gewisse Katastrophen schlicht nicht vermeiden lassen. 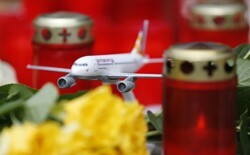 Für 149 Menschen des Flugs 9525 von Germanwings war es ein Albtraum mit tödlichem Ausgang. Was aber ging im Kopf des mutmasslich mörderischen Co-Piloten vor? Aus forensisch-psychiatrischer Sicht gibt es fünf ­theoretische Erklärungsansätze. Der Absturz der Maschine von Germanwings in den französischen Alpen ist eine fürchterliche Katastrophe. Neben dem Mit­gefühl für die Angehörigen der Opfer steht ­sofort auch die Frage nach dem Warum im Zentrum der öffentlichen Aufmerksamkeit. In den nächsten Wochen wird sicher noch mehr zur Person und zum Leben des mutmasslichen ­Täters und zum Vorlauf der Tat ans Licht kommen. Aus forensisch-psychiatrischer Sicht ist eine der zentralen Fragen, wie lange im Voraus die Tat geplant war. Längere Planung spricht gegen situative Zufälligkeiten und für eine Tatmotivation, die stark und nachhaltig in der Persönlichkeit des Täters verankert war. Der Vorlauf hätte zudem Chancen geboten, die Tat zu verhindern. Die entscheidende Frage in diesem Zusammenhang: Wer wusste was zu welchem Zeitpunkt? — Zwangsgedanken: Solche Gedanken drängen sich unwillkürlich auf. Viele Menschen kennen das. Man steht auf einem hohen Turm, schaut hinunter. Plötzlich kommt einem die Idee, hinunterzuspringen. Wie von einem Magnet fühlt man sich für einen Moment vom Abgrund angezogen. Ein anderes Beispiel: Man sitzt im Spital neben dem kranken Vater, und für eine Sekunde schiesst einem der Gedanke, die Instrumente abzustellen, durch den Kopf. Solche Gedanken verschwinden oft genauso rasch, wie sie gekommen sind. Sie sind deshalb für die meisten Menschen überhaupt keine Gefahr. Es gibt aber Personen, die sich schlecht von solchen Zwangsgedanken abgrenzen können. Dann können diese zum Problem werden. Auch Depressionen oder Müdigkeit können die Abwehr von solchen Gedanken schwächen. Hier steht also nicht die Selbsttötung im Vordergrund, sondern die Sogwirkung, die eine ­ex­treme Tat auf manche Personen ausübt. Wie der Sog in den Abgrund, der einen magisch anzuziehen scheint, kann so ein Zwangsgedanke übermächtig werden. Kommentierte der Täter die Tat im Vorfeld tatsächlich positiv, dann spricht das gegen diese Va­riante. Denn Zwangsgedanken werden von Betroffenen eher belastend und negativ erlebt. — Fanatischer Egotrip: Hier spielen die Macht und das Gefühl, Herr über Leben und Tod zu sein, etwas Monströses, Aussergewöhnliches zu vollbringen, in die Geschichte einzugehen, sich selber in einer subjektiv grossartigen, allmächtigen und extremen Pose zu inszenieren, eine entscheidende Rolle. Man findet dieses Muster sowohl bei religiösen Fanatikern als auch bei Schul-Amoktätern. — Narzisstische Problematik: Sie ist verwandt mit dem fanatischen Egotrip. Hier wird ein geringes Selbstwertgefühl mit der ständigen Inszenierung der eigenen Grossartigkeit ausgeglichen. Solche Personen brauchen das Gefühl des Besonders-Seins und sind auf die ständige Zufuhr von Aufmerksamkeit und Bewunderung angewiesen. Bleibt das aus und droht das Selbstbild zusammenzustürzen, kann eine explosive Mischung aus Wut und Verzweiflung entstehen. Sie ist manchmal die Grundlage ­eines «grossen» letzten Auftritts. _ Psychose: Möglich ist auch eine psychiatrische Erkrankung im engeren Sinne wie beispielsweise eine Schizophrenie oder eine wahnhafte Depression. Hier gibt es oft bizarre grössenwahnsinnige, paranoide oder Welt­untergangsszenarien, die einer total verschobenen Wahrnehmung entsprechen und mit der Realität gar nichts mehr zu tun haben. — Drogen-/Medikamentenwirkung: Es gibt diverse (Neben-)Wirkungen von psychoaktiven Substanzen, die ursächlich oder begünstigend auch für schwere Gewalttaten und/oder Suizid sein können. Erwähnenswert ist schliesslich, dass eine solche Tragödie in der Realität zwar absolut aussergewöhnlich ist. Das Sujet kommt aber im Traum oder insbesondere in Action­filmen sehr häufig vor. Da droht eine Bombe, die von einem Schurken geschickt platziert wurde, in wenigen Minuten zu explodieren. Alles dreht sich nun darum, ob der Held es noch schafft, sie vorzeitig zu entschärfen. Die Spannung dieser Szenerie besteht einerseits darin, dass man hofft, es ­möge gelingen. Aber die Vorstellung der sich abzeichnenden Kata­strophe, die Uhr, die unbarmherzig weitertickt, hat auf den Betrachter ebenfalls eine faszinierende Wirkung. Auch dieses Moment findet sich in der jüngsten Flugzeugtragödie. Fast ­alle Menschen können völlig problemlos zwischen Film, Fantasie und Realität unterscheiden. Bei Menschen, bei denen diese Grenze brüchig ist, kann es gefährlich werden. Frank Urbaniok ist Professor für forensische ­Psychiatrie und seit 1997 Chefarzt des Psychiatrisch-Psychologischen Dienstes des Kantons Zürich. L. hat sich offenbar als „Flying Andi“ bezeichnet. „Das spricht für gewisse Größenideen.“ Möglicherweise fühlte er sich aber in seinen Kompetenzen und seinem Können nicht anerkannt. Nach Medienberichten trug er den Spitznamen „Tomaten-Andi“, als er eine Zeit lang als Flugbegleiter arbeitete. Vielleicht ließ die Diskrepanz zwischen den narzisstischen Vorstellungen und den erlebten Kränkungen seine Suizid-Idee aufblühen. Dann könnte ein Tropfen genügt haben, eine banale Bemerkung, eine weitere Kränkung, um das Fass zum Überlaufen zu bringen, vermutet Wolfersdorf. Auch wenn die Suizid-Idee mitunter jahrelang in jemandem gärt, die endgültige Entscheidung kann dann sehr kurzfristig fallen. Geht man davon aus, dass L. tatsächlich die Germanwings-Maschine zum Absturz bringen wollte, sind auch noch andere Motivlagen denkbar. So könnte der Co-Pilot den Tod der anderen Menschen auch einfach nur in Kauf genommen haben. „Vielleicht hat ihm in dieser Situation das Mitgefühl gefehlt und er wollte seinen Todeswunsch ohne Rücksicht auf das Leben der Passagiere umsetzen“, sagte Dr. Wolfram Dorrmann, Psychotherapeut aus Fürth und Autor des Standardwerks „Suizid“ im Gespräch mit der „Ärzte Zeitung“. Den Wunsch, sich selbst zu töten, können auch Medikamente verstärken oder gar auslösen, so der Psychotherapeut. Im Verdacht stünden hier etwa Gyrasehemmer, das Akne-Mittel Isotretinoin oder eine beginnende SSRI-Therapie. Veränderungen des Hirnstoffwechsels scheinen auch bei Personen Suizid-Ideen zu begünstigen, die noch nie zuvor Selbsttötungsabsichten hatten. Kritisch seien die Zustände, wenn sie auf eine Situation treffen, in der ein Suizidwunsch nachvollziehbar erscheint, wenn sich die Personen als zuvor schon hoffnungslos oder von der Gemeinschaft ausgeschlossen fühlten. Dorrmann verweist auf ein weiteres interessantes Detail: Die meisten Selbsttötungen finden nicht lange nach einem Arztbesuch statt – auch L. war in ärztlicher Behandlung und am Flugtag krankgeschrieben. „Oft klagen Männer vor dem Suizid über Gereiztheit und Schlaflosigkeit.“ Mitunter bekommen sie dann Anxiolytika verordnet, und diese lösen vielleicht auch die Angst vor dem eigenen Sterben. War das vielleicht ein Grund, weshalb L. acht Minuten völlig ruhig dem Ende entgegensah? This is a conversation that plays out time and time again, perhaps because talking about mental illness is easier than talking about the guns. „Everything is pointing towards an act that we can’t describe: criminal, crazy, suicidal,” said French Prime Minister Manuel Valls, according to Agence France-Presse. Criminal. Crazy. Suicidal. That Valls would group those three words together says a lot. It hints at a dangerous equivalence. Suicidal doesn’t equal homicidal. Criminal doesn’t equal crazy. And crazy is an unkind thing to call someone who’s suffering. Could the Germanwings Crash Have Been Avoided? What evidence we have of Lubitz’s mental health or lack thereof is still scant. The New York Times reports that he “had a medical condition that he hid from his employer.” Investigators found a doctor’s note at his home that would have excused him from work on the day of the crash, as well as another, ripped-up, note. The BBC says German media are reporting that Lubitz’s training was interrupted in 2009 so he could receive treatment for depression. While his employers at Lufthansa airlines have confirmed he took time off, they have not said why. Yet Friday morning’s headlines were frantic about the possibility that Lubitz could have been depressed. The Daily Mail, ever over-the-top, went with: “Mass-killer co-pilot who deliberately crashed Germanwings plane had to STOP training because he was suffering depression and ‚burn-out.‘” CNN’s homepage blared “Unfit to Work” in all-caps. By one measure, only 5 percent of violent crime is actually attributable to mental illness. For depression specifically, a study of more than 47,000 people in Sweden found that 3.7 percent of men and 0.5 percent of women diagnosed with depression committed a violent crime, The Guardian reported. In the general population, those numbers were 1.2 percent for men, and 0.2 percent for women. Depression is a risk factor, then, but a very small one. “There’s this disconnect, but that becomes a prism through which we see these problems,” Swanson says. To conclude that his role in the crash was the automatic consequence of any history of mental illness would be irresponsible and damaging. There has been no suggestion that males should be prohibited from becoming pilots, that Germans are unfit to fly, or that 27-year-olds should not be let loose in the cockpit. Only one factor has been picked over: Lubitz’s mental health. This is an all-too-familiar progression. Within the past few years alone, the Newtown shooting, the Aurora shooting, and the Navy Yard shooting all come to mind, for how quickly the conversation turned from the killers’ actions to their minds. The impulse is understandable. Mental illness can be treated, and in the face of horror, people want action. What can we do to prevent this from ever happening again? Now, in the wake of the Germanwings crash, people are calling for better mental health screenings for pilots. Better screenings, earlier intervention, improvement of the mental health system all-around—these are noble goals. But unfortunately, the impact they could have on preventing future violence is probably small. And it paints an incomplete picture to look at mental illness alone, without all the other factors at play. For example, studies by Seena Fazel at the University of Oxford have found that people with substance abuse problems in combination with mental illness are more likely to be convicted of violent crime than people with mental illness alone. And Swanson says he’s done research on three big risk factors, one of which is substance abuse. The others are being a victim of violence while young, and witnessing violence in your surroundings. „Something was wrong with this man“ is an answer that can soothe the pain of not-understanding, if not the pain of loss. And “violent behavior” is a vague term, that can encompass anything from punching someone in the face, to purposefully crashing a plane full of people. The two things are more different than they are alike. The world is now faced with the latter. Wanting an explanation, something to blame, is a human reaction to atrocity. “Something was wrong with this man” is an answer to hold onto. It can soothe the pain of not-understanding, if not the pain of loss. “But if you generalize that kind of view toward all the people diagnosed with and struggling to recover from serious mental illness, we end up treating people with scorn and seeking distance from them,“ Swanson says. Something people do too much already.